Avia Line is a complex of four modern office buildings. Its flexible premises can be tailored to your company’s needs. There is a wide range of services easily available in the vicinity. The first three phases are already complete. The estimated building time is 12 months. The energy class of Avia Line III and IV is A2007. Avia Line offers your business high-class premises as well as an excellent location. Avia Line is situated in Aviapolis - only five minutes away from Helsinki-Vantaa airport. Now your company has a chance to move to new premises in the attractive business environment of Aviapolis, with an excellent location near Ring road III and airport. Contact us and join in! 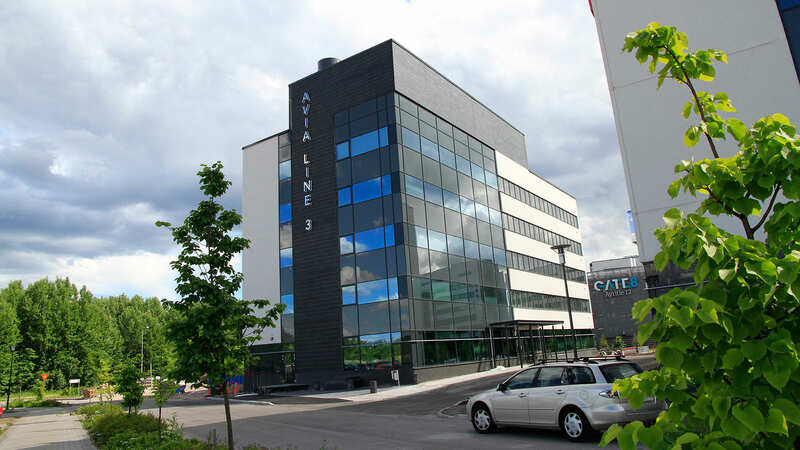 Avia Line has an excellent location in Aviapolis near Helsinki-Vantaa airport. Aviapolis is the fastest growing concentration of business in the Helsinki metropolitan area. There are several restaurants as well as hotels in the vicinity. There are convenient bus connections to Avia Line. Tikkurila railway station is only 5 km away and Helsinki-Vantaa airport 2 km away. The new ring rail line connects the Vantaankoski track to the main rail line, connecting Helsinki-Vantaa airport to both of these. Aviapolis has its own station along ring rail line. Plenty of parking space in the parking garage and outside parking area.